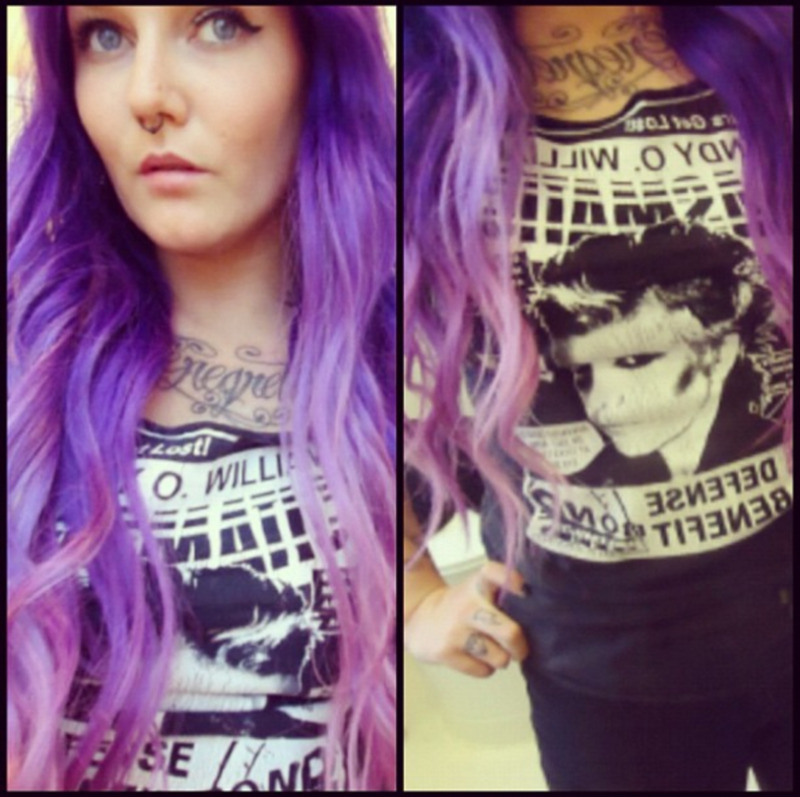 Women spend ridiculous amounts of money on salon/at-home hair coloring. With a recession in full swing, it's only right that beauty come at a cheaper price. Want a different hair hue to spice up your look, use the cinnamon mixture described below. 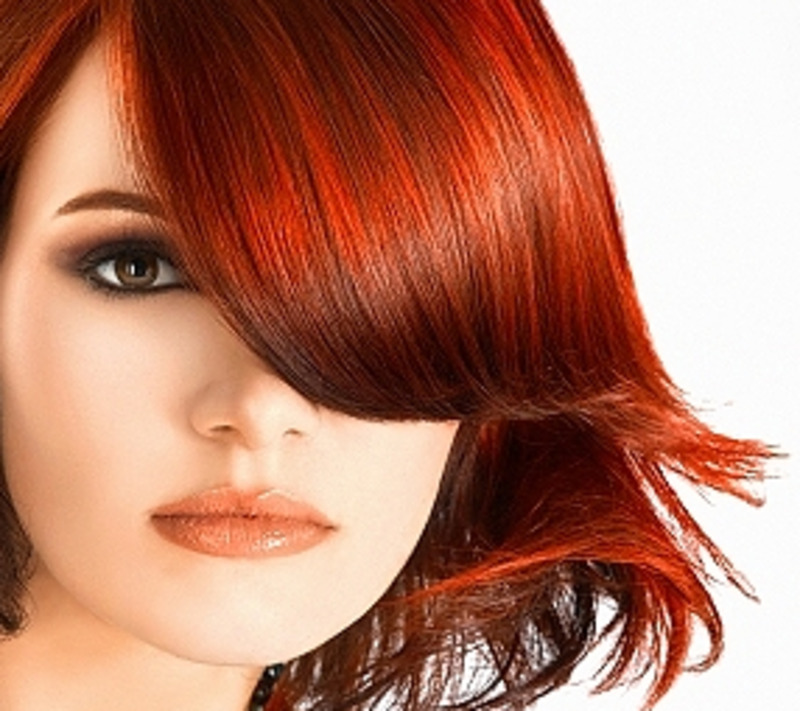 Cinnamon can be used to lighten hair at least two shades. It is also a safer alternative to changing the color of your strands. 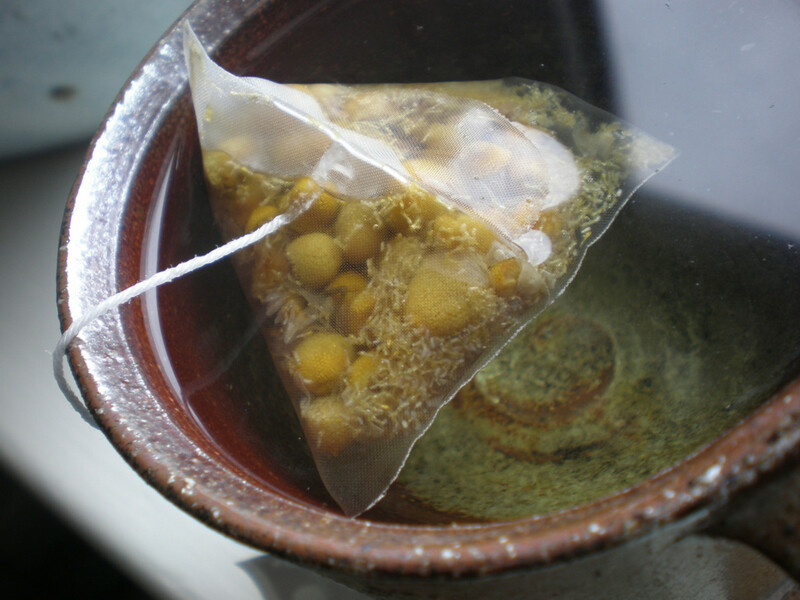 The mixture will leave your hair moisturized, soft, and smelling yummy!! Add the conditioner, cinnamon, and honey (if desired) together in a plastic container. The amounts needed are determined by the amount of hair you have. Make sure that you have added at least 3 tablespoons of cinnamon to make sure you get even color rather than streaks of color. However, it is okay to add more. 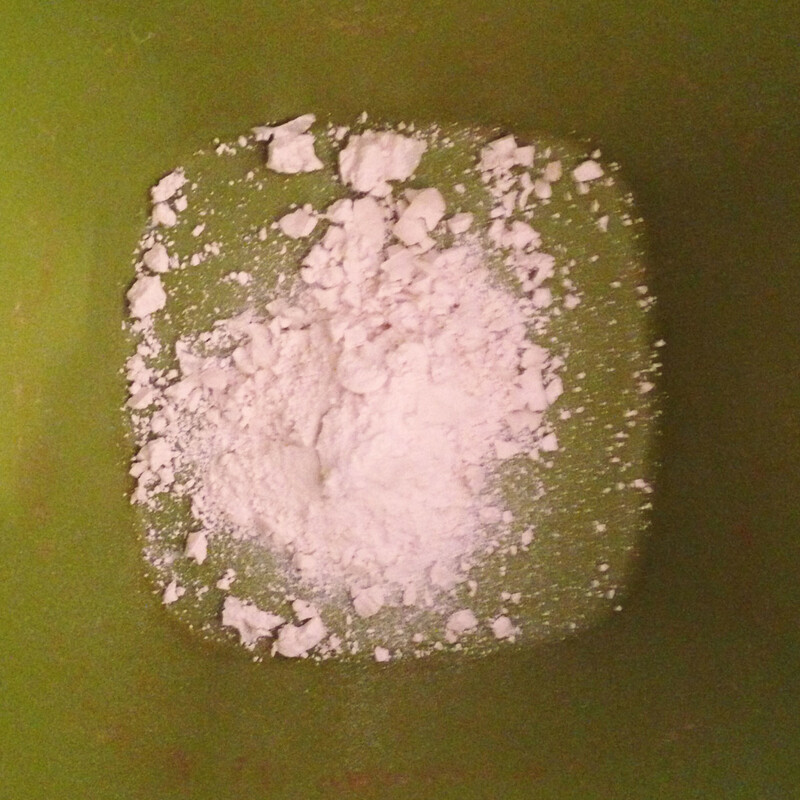 Mix the contents together with a plastic spoon as metal can react with your mixture. Cover the mixture while you wash your hair. Nothing new here. Wash and condition your hair as you normally would. It's best to detangle your hair here rather than saving it for later. Braid hair in sections to prevent tangling during application of cinnamon mixture. Applying the mixture to sectioned hair ensures that you are coating all the strands. Your hands are the only tools you need for the application. Since you detangled prior to it should be easy for you to finger-comb the mixture through your hair. Re-braid the section and move on to the next section. Complete this step over entire head. 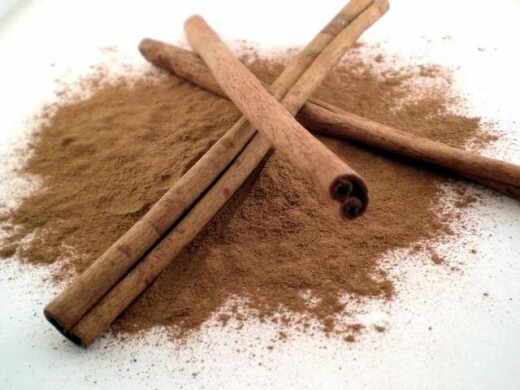 Cinnamon is a known skin irritant so it may tingle for a few minutes but it will go away. If the tingling persists or becomes unbearable, rinse it out immediately. There are a few options for this step. You want to treat this mixture like you would a deep conditioning treatment. Place the plastic processing cap over your hair. You can either sit under a bonnet dryer/heating cap for 30 minutes or you can wrap a warm towel around your head for 30 minutes. Another option is to just let your body heat do the work for you for the entire processing times. Whatever option you choose, the mixture should stay in your hair for at least 4 hours. The longer the processing time, the more results you will see. Therefore overnight is the best option. Make sure you rinse the mixture out completely. The pressure from running water straight from the bathtub faucet can help in rinsing the majority of the mixture from your hair. While you shouldn't expect your hair to go from brunette to blonde, you can expect hair that is 2 shades lighter than your original color. The more applications you do, the more change you will see. Need a Soft Bonnet Hair Dryer?? I condition my hair with olive oil, not store-bought conditioner. Anyone have any theories on whether this might work with replacing oil for conditioner? I tend to think not, as bottled conditioner is thicker, and mixing it with cinnamon lets the mixture coat all of one's hair... but I suppose there's only one way to find out! ist ok if i don't use honey for the mixture? My hair already has a little red tone to it. Its very vague. Im trying this right now. Really hope i don't get orange hair in the process. Does it work on Colorado treated hair? I'm blonde and i don't want to make my hair look red will it? Does this work on color treated hair? Just saw this and had to try it! I mistakenly put in 4 tablespoons and it irritated my skin to the point where I have splotches of red on my face hands and arms, but it's been about 20 minutes and the it going went away. I am going to leave it in my hair all night and hopefully it will work! Crossing my fingers for tomorrow! This worked pretty well! :) im a brunette and i left it in for 4 hours and it made my hair a little bit lighter,so i did another batch and its still in my hair i can't wait to find out the final results,if its the right color i want then ill leave it but if its not then ill do another batch tonight, can't wait!!!!!! I'm trying it right now, hope it works!! ill update in 3 1/2 hours ! I don't have a plastic processing cap. Does wrapping plasic wrap around ur head also work? I tried this recipe and the cinnamon burned my scalp! I think 3 tablespoons is way too much cinnamon. Do you mean teaspoons? I had the mixture on my head for 5 minutes and I had to rinse it out because it was burning so badly! I think you need to be more specific with all of your measurements. Hello!Congratulations for your article,it has helped me a lot!Does anyone knows what amount of honey should i use?? I am sure ive read this before on the LHC? do you have permission to write a piece which really isn't your work? I cannot remember her name but she has a huge thread on the LHC regarding honey treatments, cinnamon is also mentioned along with honey for its peroxide values; this is a plagurised piece of work, which you are getting the credit for! Great article. I was just wondering though. Would this work on blond hair? It would be terrific, if it did. Well done. :o) Keep up with the great work. Keep on penning. Thank you so very much for sharing your wonderful and creative talents with us. I wish I could see a picture of someone who has received the desired results. I have very dark hair and I would not want my hair to turn orange. Thanks for the tips. Amazing tips! Tempted to try NOW. Thank you! Great information about natural hair lighteners...thanks, I'll be trying this one soon! Great tips. I never heard of using cinnamon for your hair! great hub. and congrats. do you know if it works on gray hair or partially gray hair? Sounds great and safe. Certainly worth a try. Thanks a lot! Rated up! What a great first hub and nice to meet you too. I will certainly follow! Can I say WOW! Who would have ever thunk it! 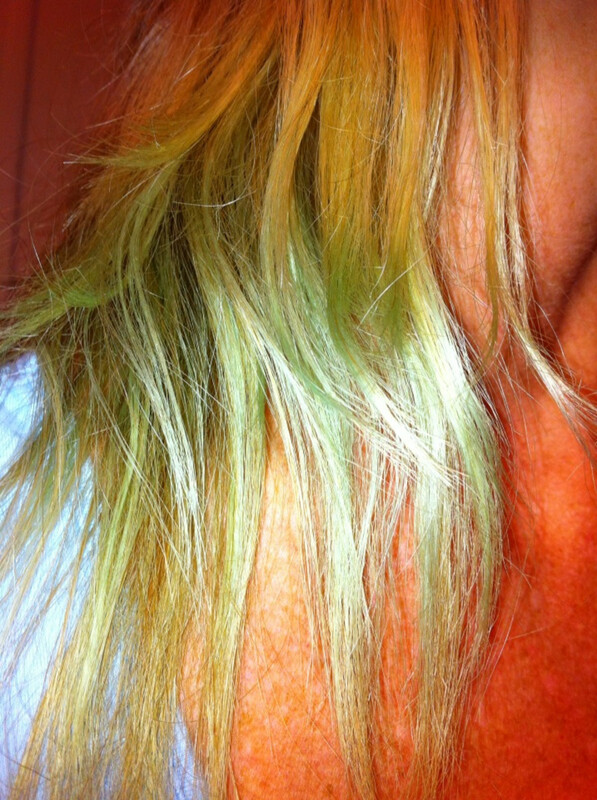 (Yes thunk old expression) Have bookmarked, do you know if it will work to color on grey hair? This is wwwaaaay cool due to I do not like chemicals, have learned a lot here. Thank you!! Very interesting! Great information and I love the relevance! Truth be told, I only stumbled upon you and this article via the HubNuggest and I almost skipped on by the entire topic but your title is what caught my attention and I'm glad it did. I voted up and am voting for your nomination! While I pride myself on knowing a lot about plants, herbs, and spices -- I would have never thought about this use for cinnamon. Hope you be sharing more here on hubpages. This is so cool! Great hub. Congrats on your nomination!Thanks for sharing this great hub using cinnamon! should smell good instead of the awful aroma and fumes of the store bought products.